Systematic Investment Plans work on the same philosophy. A SIP is a simple, convenient and disciplined way to meet your financial goals. 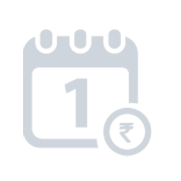 It allows you to invest in Mutual Funds in calculated amounts over a pre-defined period of time. It allows you to make the most of the growth potential of Mutual Funds, by investing periodically and benefiting from Rupee Cost Averaging. Compounding is a powerful force in this facility, which essentially means growth upon growth. By investing a fixed amount every month it’s not just the amount invested every month that has the potential to grow, but the growth on the previous monthly installments as well. It is advised that you continue the race like a tortoise – Maintain a consistent pace and not stop.This can help you manage market volatility, as it lets you average out the cost of your investments over time (A concept called rupee cost averaging). It’s the kind of investment approach that imparts a discipline and a steady habit of investment in the life of investors. When you need to achieve specific financial goal, being regular and systematic remains to be the key. Is there any added benefit of a Systematic Investment Plan? A SIP Top-up, as a facility allows the investor to increase the amount of his SIP instalment by a fixed amount/percentage at pre-defined intervals. A SIP Top-up can help you build more wealth and achieve dreams faster. Come, let's together celebrate Yeh Diwali SIP Wali!